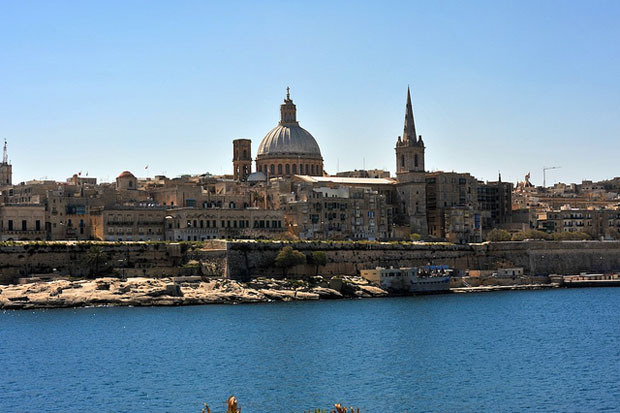 Valleta is too humid in summer so it is best to visit in spring or autumn to enjoy the sun, a light breeze and a sky always blue. This is an exotic island in the middle of Europe. Like being in a postcard of the ’50s with its bus and rusty gas cylinders on the terraces, but at the forefront of entertainment. 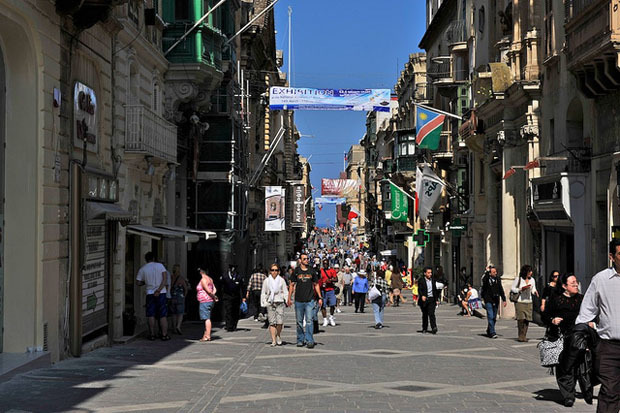 The nightlife is concentrated in the upper part of La Valletta Sliema, where there is also a casino called the red dragon which has free admission. The premises are free entrance and sometimes happen to find coupons for free drinks for two people. I found two of them in a free magazine at the hotel nightYday Malta. The transport is not a problem, the bus will take you anywhere in this historic city and the ordinary race costs only 50 cents. You will have to pay twice if you have a suitcase and a little more if you go somewhere far from the center. The hotels are cheap. For a single room in a four star hotel I paid € 40 per night, breakfast included. It was November, but temperatures and weather were great and it was full of tourists. For a double room it is 65 € and even though it has the standard of a 4 star hotel is spacious and clean, I think it was renovated a few years ago. Mine was the Kennedy Nova Hotel. For those who want to take a beach vacation, there are wonderful hotels with ocean view and huge pools to the north of the island but then it is a bit away from it all. From there you can see cruise ships exploring the mediterannean, I remember I saw MSC Cruises. Also worth visiting is Gozo, Calypso’s cave which in my opinion was a bit disappointing but offers breathtaking views. You can get there by ferry, € 6 each way. 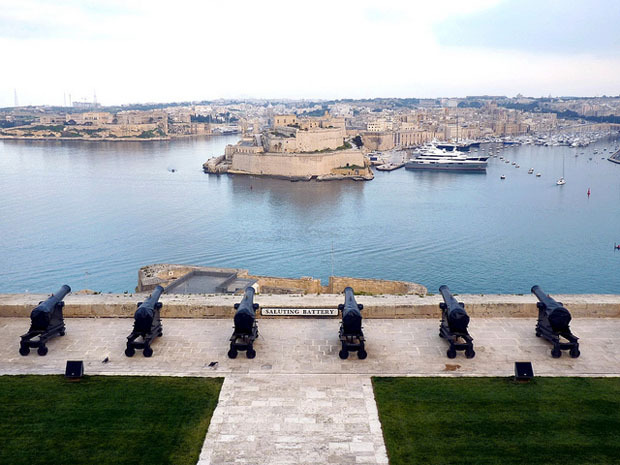 There are also Birgu (Vittoriosa) and Senglea (Invicta) is worth a ride on traditional boats with eyes of Osiris, for 10 euro you will see all the beautiful and the various bays of the island. The food is varied, has a cosmopolitan reality and you can find everything even if the Italian dishes and English pubs are the rulers. You can have dinner with menus from € 6 or so, avoiding the tourist square bar. On the strand, near the hotel there is also a Chinese self service all you can eat, you pay by weight, very cheap. Do not miss the sweets, they have in every shape and color and the taste is exquisite: donuts, cannoli, pastizela, small donut filled with cream and covered with chocolate, gingerbread or with dried fruit and figs. The best part is that they cost a few cents and in some shops there is also the free taste, in short there is no way to avoid them. The souvenirs are cheap and are pretty, with a dozen euro you can satisfy all our friends or relatives. So for a first bath of sun and culture you can start relieving the spirit but not your wallet.